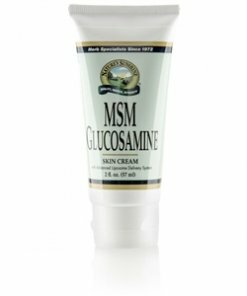 Nature’s Sunshine MSM/Glucosamine Cream is a joint and tissue supplement. 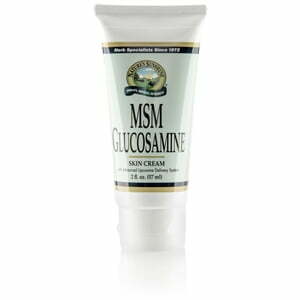 Glucosamine, an amino acid, supports the cartilage and joints to help with stiffness and soreness. 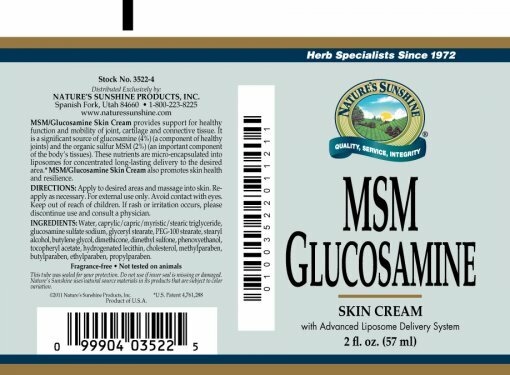 MSM helps support body tissue and skin health. These nutrients are micro-encapsulated into liposomes for an increased effectiveness in delivery. 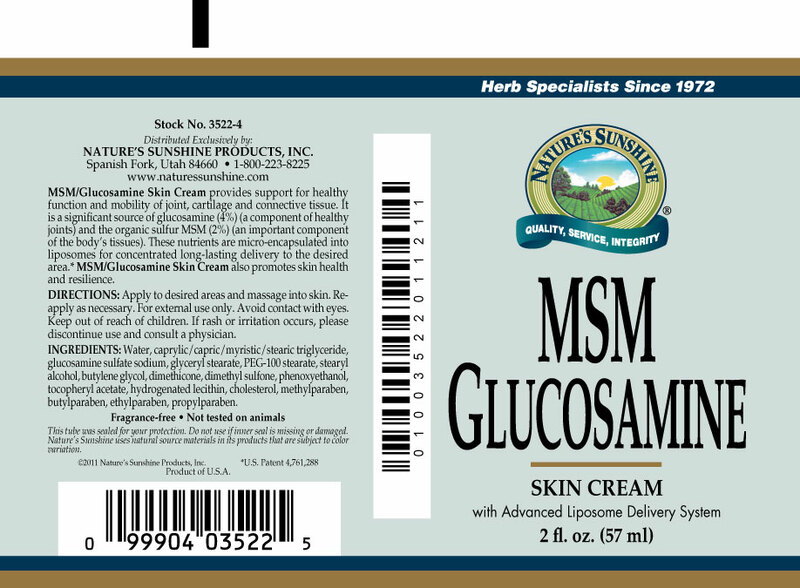 Contains 4 percent glucosamine sulfate and 2 percent MSM. Fragrance-free. Instructions: Apply liberally as needed to the skin and joint areas. Purified water, caprylic/capric/stearic triglycerides, glyceryl stearate, stearyl alcohol, PEG 100 stearate, glucosamine sulfate 4%, dimenthicone, butylene glycol, dimenthyl sulfone (MSM) 2%, phenoxyethanol, hydrogenated lecithin, tocopheryl acetate, methylparaben, ethylparaben, propylparaben, butylparaben, and cholesterol.